City chic! 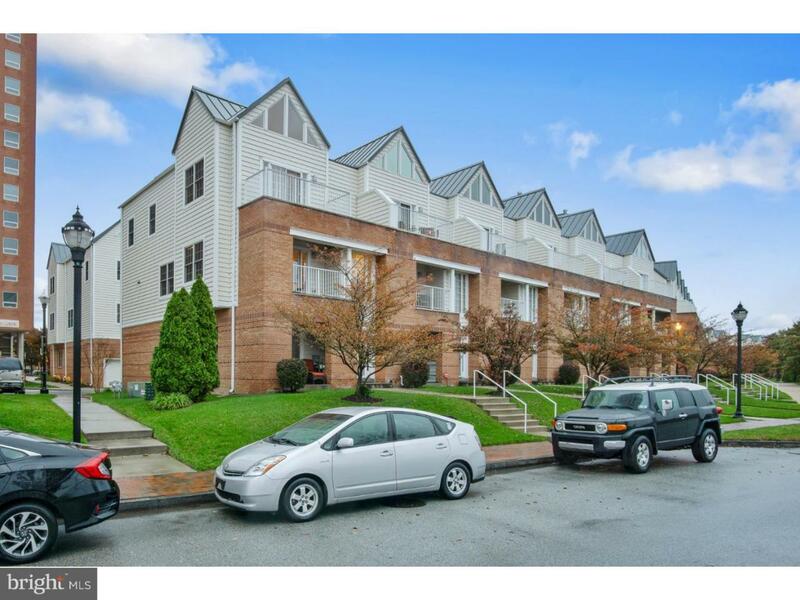 Head-turning townhome with city conveniences! Best of both worlds in this spacious, modern-edge 3-level-living 3 BRs/3 ? bath townhome walkable to downtown and River front and 5 mins. to train station, I-95 and I-495! Impressive curb appeal with mostly red-brick exterior accented with outdoor alcoves, angled windows and apex roofline. 1st level gives shout out to details of crown molding, chair rails and natural wood plantation shutters. Tons of closets offer easy storage, high ceilings provide airy ambiance and earth-tone paint delivers blank canvas for personal decorating. Natural wood French doors grant access to carpeted BR on this level with private full bath. Glass sliders lead to covered porch, where quiet moments are a given. Hall houses 2 huge closets and access to 2-car garage. 2nd floor touts cont. millwork with introduction of polished hardwoods. Front-to-back floorplan with open concept offers merging of rooms. LR sit to front with glass sliders granting access to 2nd floor balcony where one can enjoy elevated views and outdoor time. Picture window in bump-out alcove, perfect for desk or window seat, and dual window contribute to profusion of natural light. Generous space to place sprawling sectional in front of warm and welcoming gas FP flanked by built-in alcove for TV. Although 1 sweeping room, DR sits beyond LR and has pewter pendant lighting and dual window. Across from DR are PR, coat closet and walk-in closet, perfect for stashing dishes and small appliances. No need for food storage since there's also a pantry. ? wall provides slight separation of kitchen/DR but still allows cook to be part of the conversation. Sleek maple cabinets and white appliances provide nice contrast to rich dark granite countertops. Center island is perfect perch for quick bite or refreshing beverage. Repetition of pewter pendant lighting and natural wood plantation shutters in kitchen's eating area provide symmetry among rooms. 3rd floor is softly carpeted and houses BRs, which situated at opposite ends, offer utmost privacy. Secondary BR has 2 roomy closets and its own full bath. Hall features 3 more closets along with no-doubt-about-it convenient W & D. MBR is luxurious! 2 big closets for wardrobe storage plus private full bath. Architectural elements of vaulted ceiling and myriad of different shaped windows create dramatic effect, while glass sliders lead to balcony to enjoy fresh air and change of seasons. Premier location, premium living!